At the age of three, Jenni’s first instructor was her older sister Cecily. This student-teacher relationship lasted into her teens – Cecily trained young horses, including Toy Soldier and Apple Annie, for Jenni to ride. As a junior, Jenni did dressage work with Franz Rohvansky. 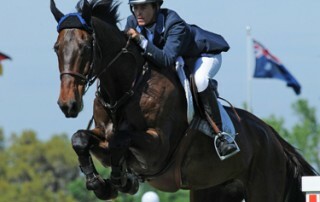 She competed successfully in Three-Day-Eventing up to the preliminary level, taking clinics with Bruce Davidson. As a junior rider in Southern California, she placed 2nd in the Pacific Coast Hunter Jumper Association Junior Jumper Finals. 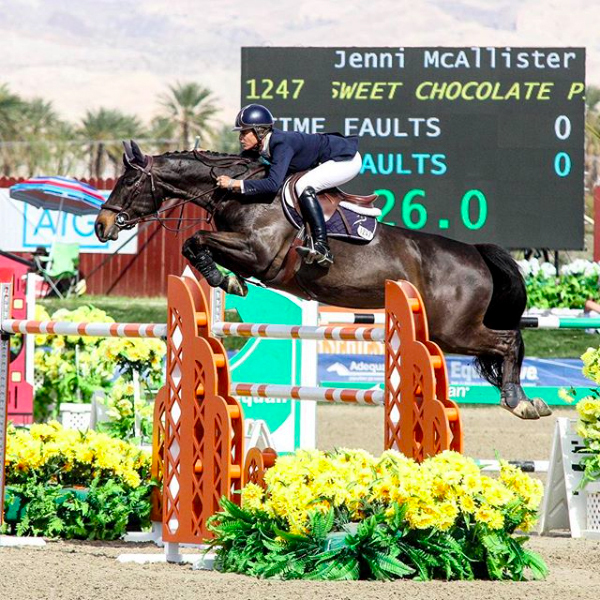 She was selected by USET for jumping clinics given by Olympic Gold Medalist, Joe Fargis, and rode in a number of clinics given by the eminent hunter-jumper trainer, George Morris. In 1993 Jenni met Steve McAllister, who owned and ran Highborn Horse Park in Southbury, Connecticut. Soon they became partners in the sales, training and showing end of the business. In 2003 they moved to Southern California, where they developed their successful coaching and training program and continue to acquire and train top horses to compete nationally and internationally. In 2014, Jenni and Steve traveled to Lyon, France, where Jenni made her first FEI World Cup Final appearance with Granville Equine’s Casseur de Prix. 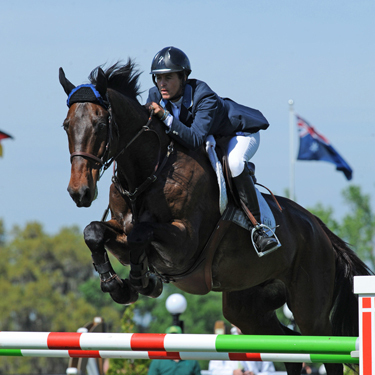 She has since gone on to qualify for the FEI World Cup Finals two more times in 2017 and 2018 with Legis Touch the Sun.